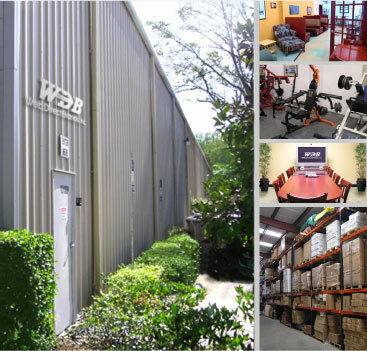 Located in central Florida, approximately 45 minutes north of Tampa, WDB Distributing houses a full pallet warehouse and green centric office facility. Our fully functioning large capacity warehouse holds a constantly re-stocked supply of domestic and international product lines. A team of multilingual staff cohesively work together to rapidly fill orders for our valued resellers. Whether packaging a single Natural Classico tomato milling machine or an entire pallet of Estate Swing gate openers, our staff undertakes careful packing so that the end user not only receives their item but is satisfied with its condition. Our bustling offices include a U.S. based call center with both sales and technical support representatives. In fact, these experienced tech support associates are available to our reseller in order to help support several of our DIY product lines. Many of our clients’ customers benefit from extended tech support hours 7 days a week, 12 hours a day. The office environment is unique in that WDB Distributing’s green policy is to reuse and recycle. A cafe installed Reverse Osmosis water filtration, reuse of packaging materials, and the over all design of the office building all support energy conservation. Skylights provide natural lighting, indoor vegetation reduces heating and cooling costs where as multiple recycle bins help cut down on waste. WDB Distributing is the home to a mischievous cat, rambunctious dog, several hundred ladybugs and other exterior wildlife.